Have you tried eating dumplings for dessert? 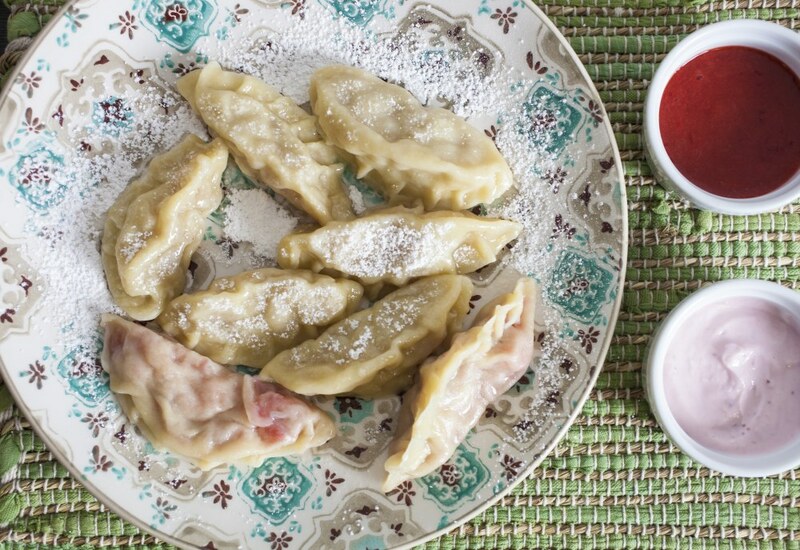 Lather on the yogurt and fresh jam and try these Polish inspired pierogies. They're easy, fun, and delicious! Organize your time in the kitchen by writing down a task list. Cook the fruits at the same time while the dough rests. While the fruit is cooking, make the coulis and yogurt mixture. Per Serving: 345 calories; 1g fat; 77.9g carbohydrates; 7g protein; 2mg cholesterol; 118mg sodium. These strawberry and pear pirogies were so tasty! I made them for my sisters baby shower! We sprinkled them with powdered sugar, delicious. We also used regular yogurt for dipping instead of Greek. Fantastic! Dumplings for dessert is a new concept for me but my wife and I loved it. I feel like a pro at making dumpling dough now. It was much simpler than I initially anticipated, and I'm so glad I tried it.